Microsoft's effort to tackle Google's advances, continues as the company is exploring more avenues to bring Bing at per with Google, even with Yahoo Search partnership, which invariably brought improvement in users engagement, Google, nonetheless still retains overall lead in search traffic. Now, Microsoft at an AI-focused event in San Francisco, announced a number of new updates coming to Bing that it hopes will make it smarter by leveraging artificial intelligence (AI). 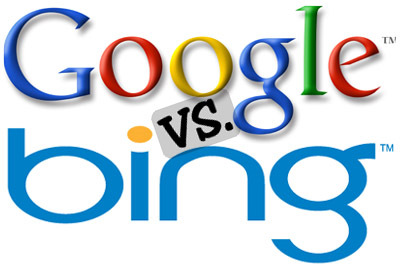 Albeit, Bing search engine already got some injecting of AI-capabilities, like what powers its natural language search technology, the latest updates are focused on bringing more conversational, nuanced answers to users in the “cards” UI being used by competitors like Google. The latest AI infusion expected to roll out include: Intelligent Search, Intelligent Image Search and Conversational Search. Microsoft aims to stay competitive with Google in integrating machine learning into search mechanism, and the Intelligent and Conversational Search technology, could enable searchers sort out things like discovering more about a piece of jewelry a celebrity is wearing. It works by simply tapping the “search within image” button and given that your search term isn't a controversial query. The company also announced a partnership with Reddit to make some intent-driven queries more effectively covered. And the integration of Reddit content directly into Bing search results, will perhaps funnel information from Reddit crowd-sourced AMAs (Ask Me Anything posts). Bing Search will especially benefit from the highly-localized information from Reddit posts, and its searchers with related queries can be given more nuanced results.